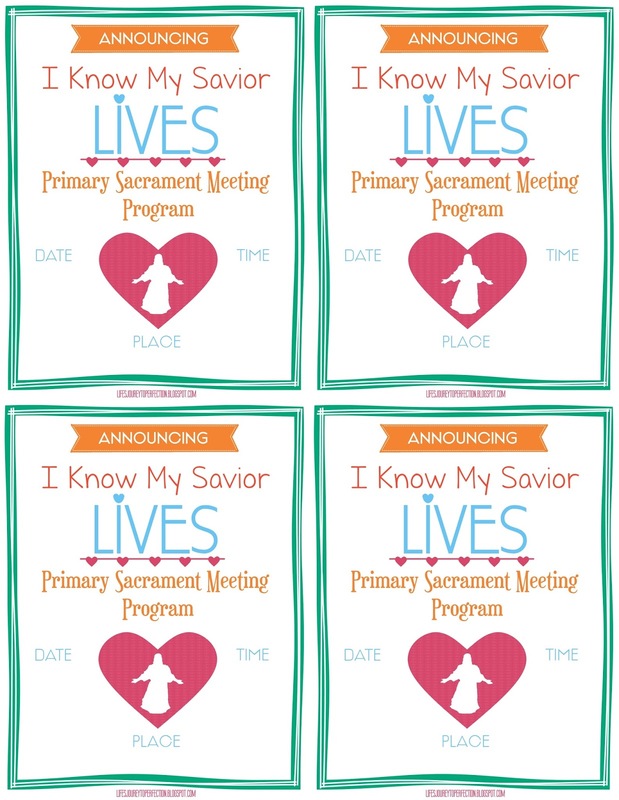 I was asked if I had made any invites for the Primary Sacrament Meeting Program, I hadn't. So, hopefully I am getting these out in time that it won't be too late to print them if you wanted to. It is a great idea really. 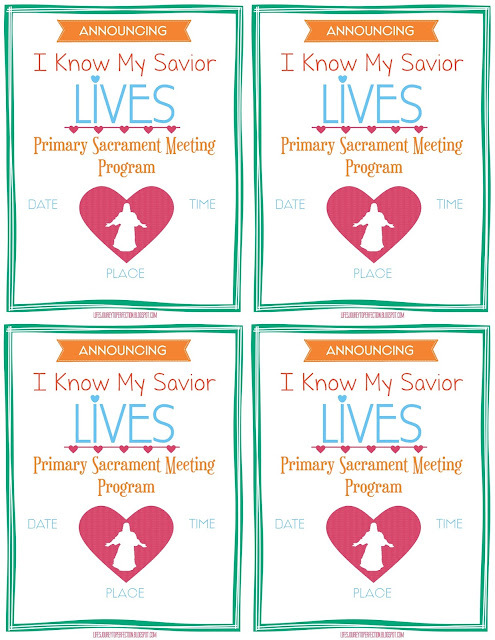 How fun would it be for the kids to give their grandma and grandpa an invite to their program. Or to invite a non-member friend. I know one thing for sure, the spirit is always felt so strongly as these children share their testimonies both in word and song and it would be great to share that with someone who needs it. Anyways, here are the invites and Free Download!! Follow me on Pinterest to receive more awesome ideas! !